During our spring cleaning we found these old boxes. The old style of marketing & packaging is totally charming & sweet, right? This company, Parker-Kalon, has produced threaded fasteners since the late 1960's so these could very well be some of the 1st boxes we ever purchased back in 1971. In case you know nothing about fasteners, we're going to start at the beginning. The dictionary says "any of various devices for fastening"
And to fasten is: to make or become secure, to become attached or joined, or to become closed by fixing firmly in place, locking, etc. A fastener is exactly what it says - something that fastens. Well it's accurate but there is so much more. It gets complicated because of the gazillions of options available out there! 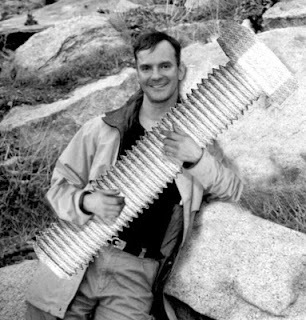 This is a BIG bolt! It's a fake photo that we made but we could make the bolt if we wanted to. It would cost a lot (and weigh a lot!) but we could do it. 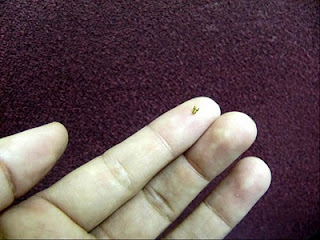 And this is a little one. The enormous difference between these two illustrates the enormous variety available because every size in between is an option. And to further complicate things, each individual item has several variables. Then each of these variables subdivide into other options that can change depending on what kind of application it will be used in. Each changeable detail has a handful (or even more!) different options available. And then we can go through the whole range of sizes again for each of those...phew. So can you start to see how so many different kinds of combinations potentially exist? Then there's drills, taps, standoffs, anchors, rivets, nuts, washers, pins, pipes, spacers, "O" rings, turnbuckles...and, well I think you get the idea - there's a lot. 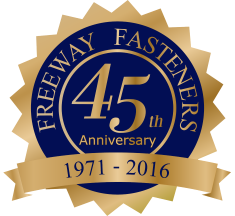 Brought to you buy Freeway Fasteners, Inc.